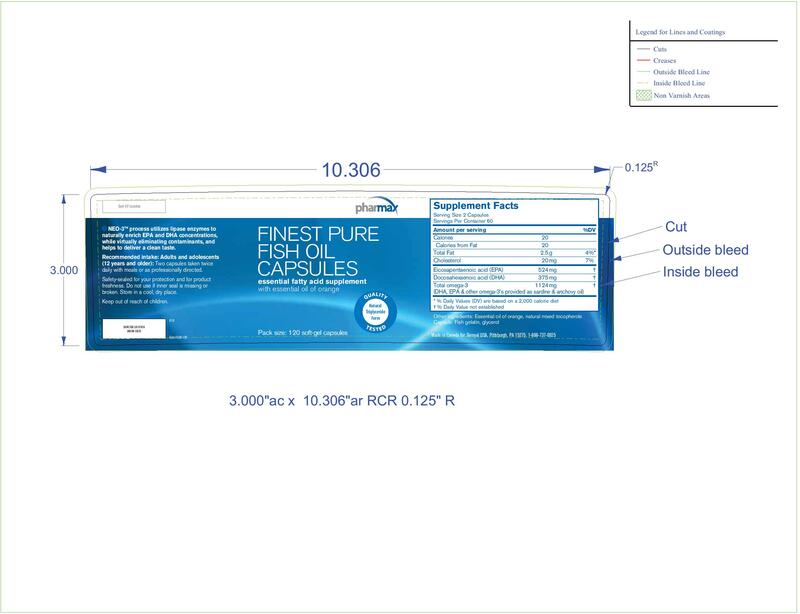 Fish oils may improve cardiovascular health by altering lipid metabolism, inducing haemodynamic changes, decreasing arrhythmias, modulating platelet function, improving endothelial function and inhibiting inflammatory pathways (1) . In fact, fish oil is recognized by the NHPD of Health Canada to help support and maintain cardiovascular health and to help reduce serum triglycerides/triacylglycerols (2) . Eicosapentaenoic acid (EPA; 22:5n-3) and docosahexaenoic acid (DHA; 22:6n-3) are the 2 principal omega-3 fatty acids in marine oils. Recent data from human studies showed that these 2 fatty acids have differential effects on serum lipids and lipoproteins, serum glucose (4 grams EPA), blood pressure (4 grams DHA), heart rate (4 grams DHA) and endothelial function (3) . EPA and DHA alter membrane fluidity, interact with transcription factors such as PPAR and sterol regulatory element binding protein, and are substrates for enzymes including cyclooxygenase, lipoxygenase and cytochrome P450 (4) . Studies also show that EPA and DHA (1.6-2.0 grams EPA and 0.9-1.2 grams DHA) found in fish oils generate bioactive lipid mediators that reduce inflammation and polymorphonuclear leukocyte recruitment in numerous inflammatory disease models (5),(6) , . While both EPA and DHA decrease TAG levels, only DHA appears to increase HDL and LDL particle size. Evidence to date also suggests that 2.8-4 grams DHA is more efficient in decreasing blood pressure, heart rate and platelet aggregation compared to EPA (7) . 4 grams EPA, but not DHA, appears to increase fasting glucose concentrations (8) . Reduction of postprandial triacylglycerol (TG) concentration may be cardioprotective. Studies have shown that chronic omega-3 fatty acid supplementation (4 grams of either EPA or DHA) significantly lowers postprandial TG concentrations regardless of the type of fat in test meal (9) . EPA and DHA are also crucial to brain development and normal brain functioning. DHA is particularly important to brain functioning due to its influence on neural membrane properties, which modulate cell signalling. DHA concentration in the brain decreases with age in humans and this has been postulated to be consequential to the age-related deterioration in central nervous system functions (10) . As such, fish oil supplementation supports the development of the brain, eyes and nerves in children up to 12 years of age and helps support cognitive health and brain function (11) . 2 NHPD Monograph on Fish Oil. March 2009. 11 NHPD Monograph on Fish Oil. March 2009.